Welcome to THE BOOK OF LIES. 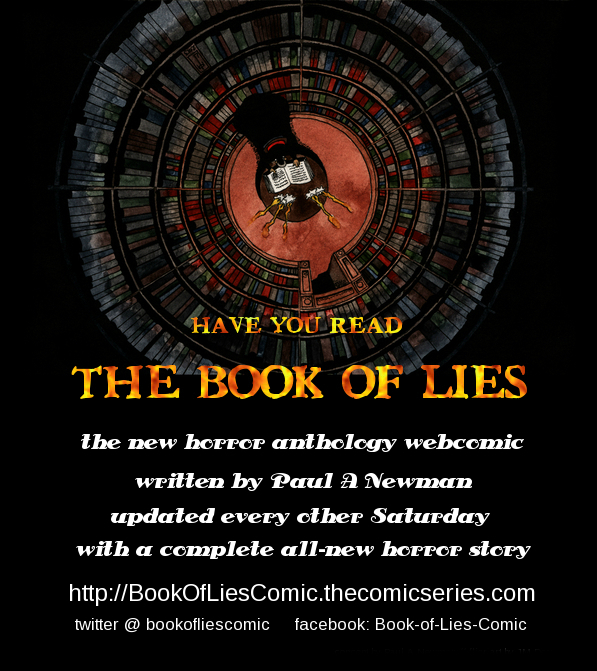 This is an anthology horror webcomic with a new complete story every other week. All stories are written by me. Art is by a host of talented artists. Hope you enjoy them! VOTE FOR ME ON TOPWEBCOMICS! Every vote helps! Have become enthralled by your stories! Great work. Do you write elsewhere? This is a very interesting premise for a web comic. Wish this entire comic series was in print! Reminds me of the old horror comics I used to read while waiting for my little brother to get his hair cut. Love the style! Oh my, this is my favorite genre. Thanks for subscribing! Hope you like the stories!